in Egypt. His mother was Winifred Pape of Utica, New York, a noted musician. 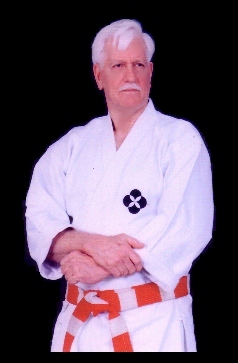 Association, himself a student of In Byung Yoon, a Shihan of the Shudokan and the founding master of much of what is now Taekwondo. 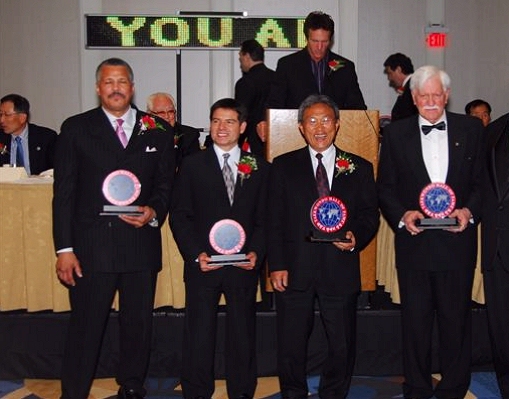 Anderson became the General Secretary of Kims newly formed Taekwondo Association of Ohio. Ki Whang Kim, Richard Chun, Henry Cho, Kang Rhee, Kim Soo Jin, Jhoon Rhee, Mon Soo Park, and Chong Lee to name a few. that time and became interested in national affairs. an International Judge, and was elected the Secretary General of the Pan American Union at the World Karate Championship in Madrid Spain. Referee Council (which served as the organizing committee and the technical committee) in at the World Championship in Taiwan. First Vice President of the World Union. He now assumed the responsibilities of Director for the World Medical Commission. the board of the USOC and served four years in that position. continued to be his kobudo mentor. Anderson has always been intrigued by the problems of law enforcement. He has attended many seminars covering bombs, hostage negotiations, etc. seminars. Many of the worlds greatest masters hang certificates with his signature on their wall. Anderson presided over this historic karate event, receiving universal acclaim for achieving the impossible. accept the 10th dan upon his death. At the funeral, the seniors of the Seibukan were asked to support Grandmaster Anderson. of the Korean Changmookwan, which he currently represents as a 9th Dan. Hanshi Anderson claims Grandmaster Park Chull Hee of the Kang Duk Won as his direct teacher and still receives regular lessons from him. relationship to the values inherent in martial arts education. are leading the way towards the 21st century. He and his wife Joan have been married nearly 50 years and have two sons, three daughters and nine grand children, and one great grand child.